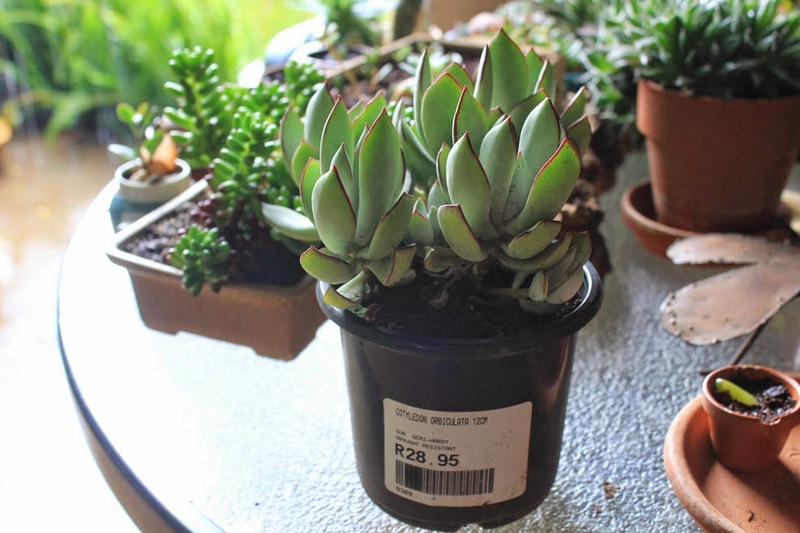 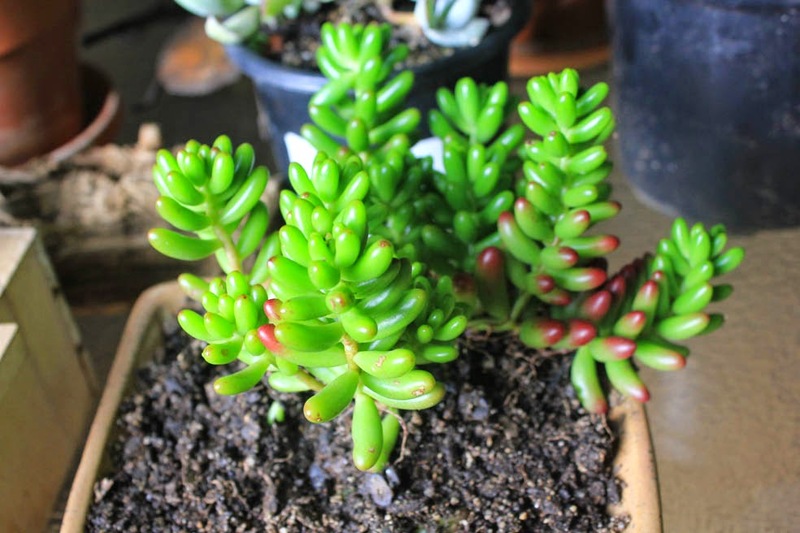 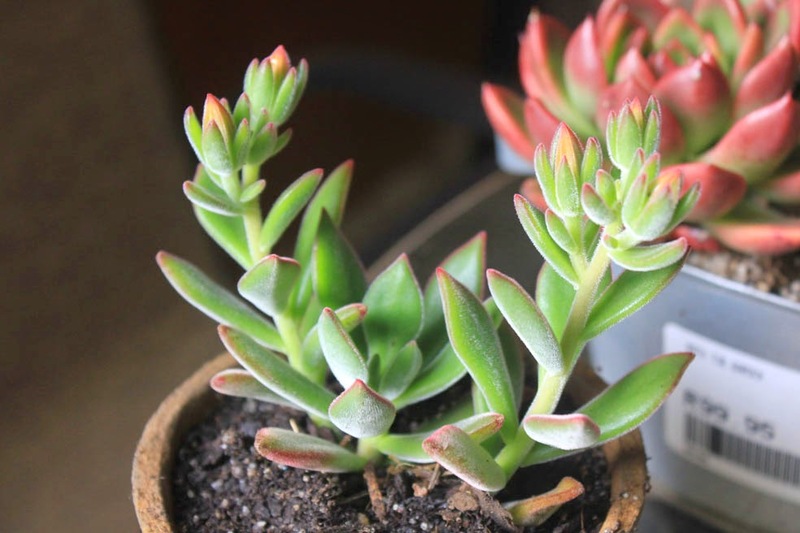 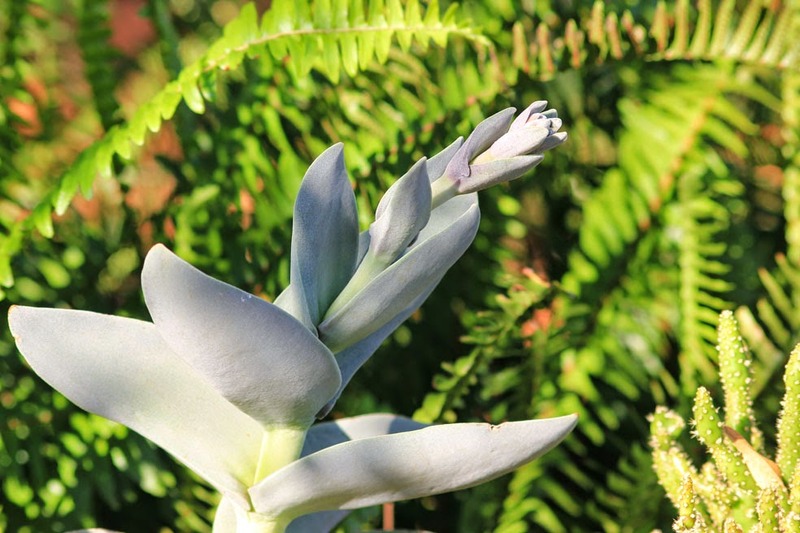 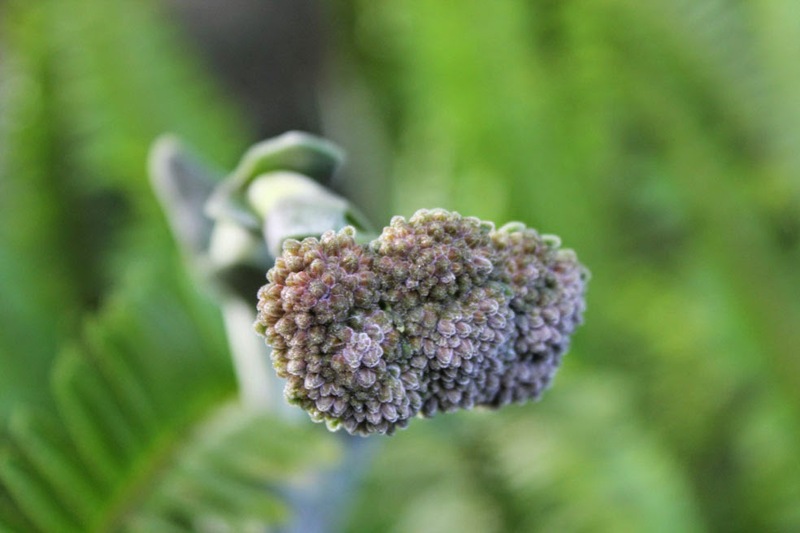 Gardening in Africa: Going crazy for succulents! 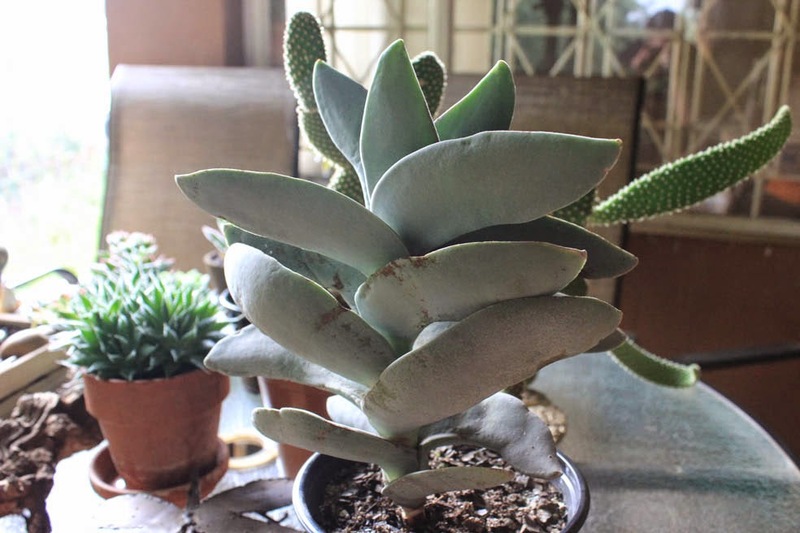 This past summer I went totally crazy and purchased dozens of new succulents! 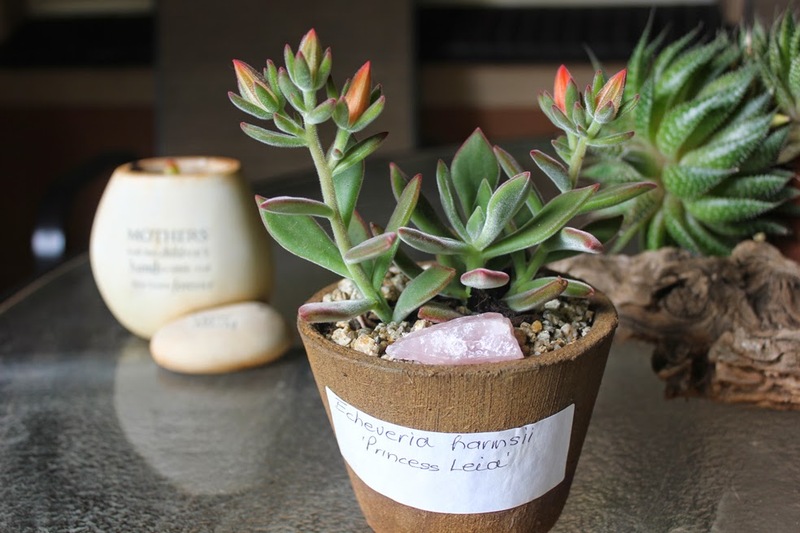 My collection primarily consisted of Echeverias, some cacti and a few aloes. 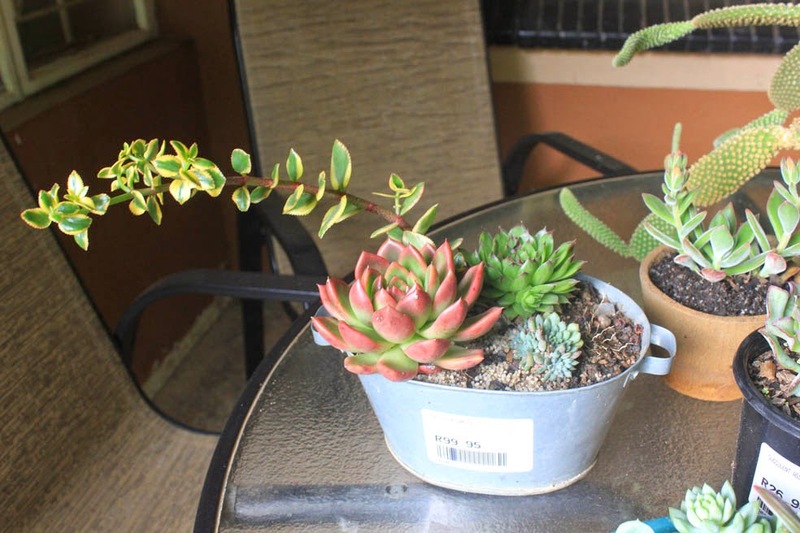 Now I have some new babies to look after and it's taking up a lot of my time, experimenting with sun and shade, how much water and learning all the names, where they grow naturally and generally just pampering and loving them! 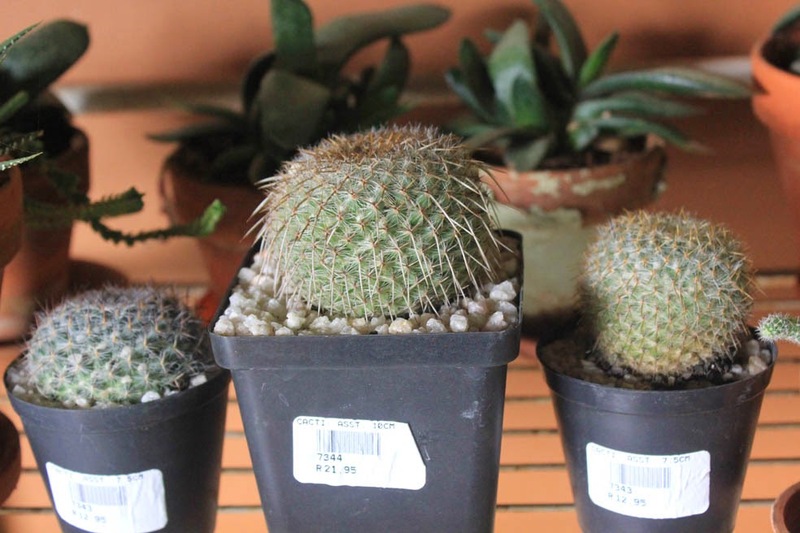 Three Mammilleria cacti in small pots - to find exactly which specie each one is, is a nightmare! 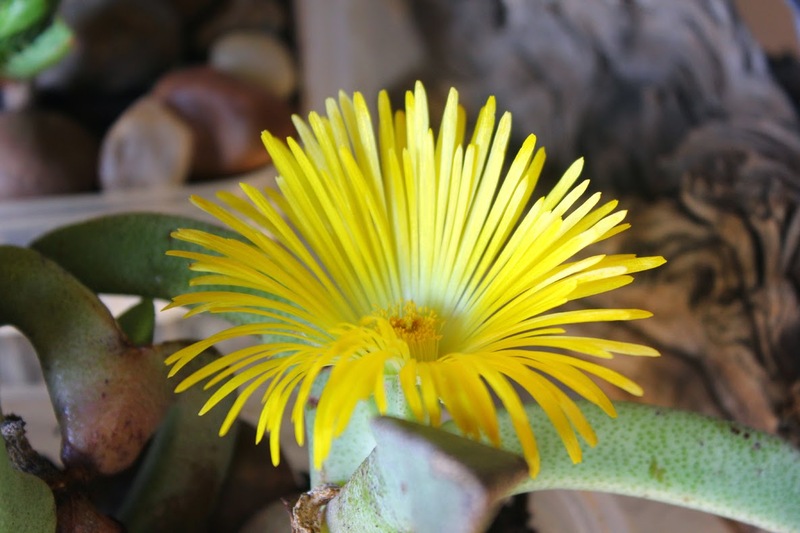 Flower as at 16th March 2015 - now I'm just waiting for the full blossoms! 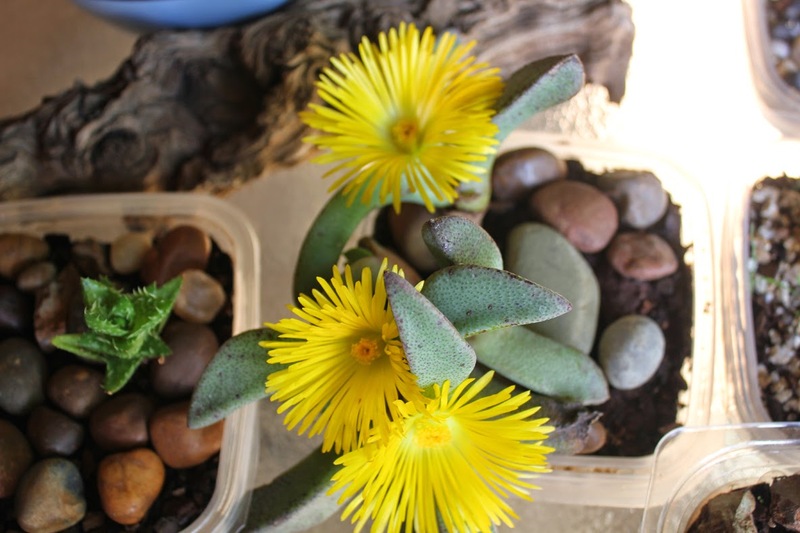 This Cotyledon (Paddle plant) - Plakkie in Afrikaans - was a single leaf I "stole" from a pavement garden in Modderfontein and look at it now! 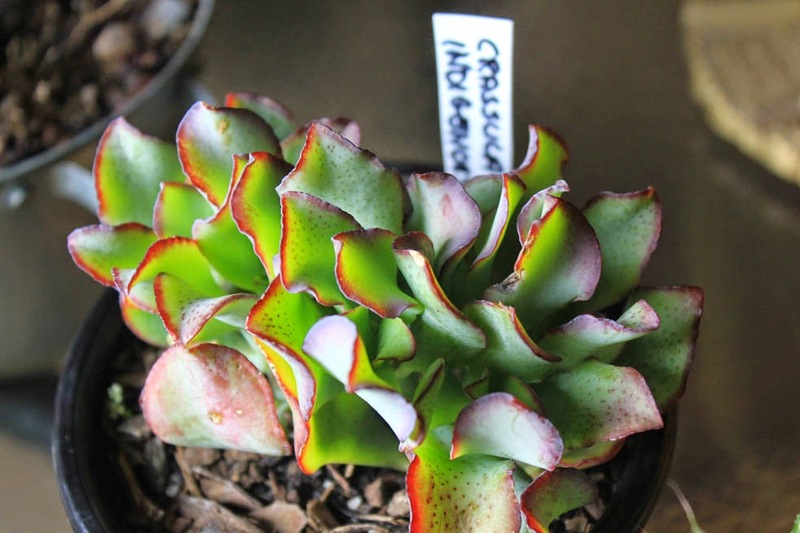 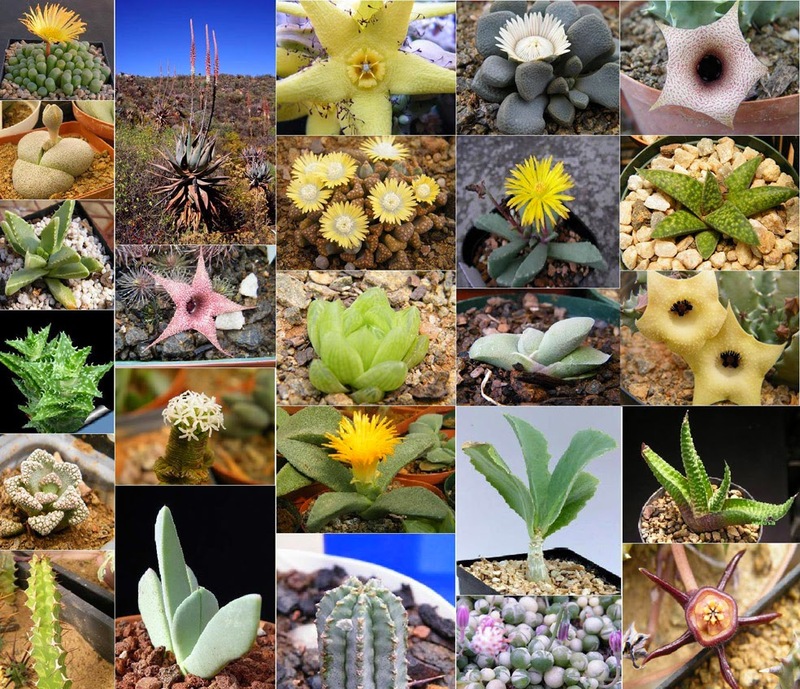 At the end of January, I participated in an on-line succulent auction on FaceBook and I was the highest bidder! 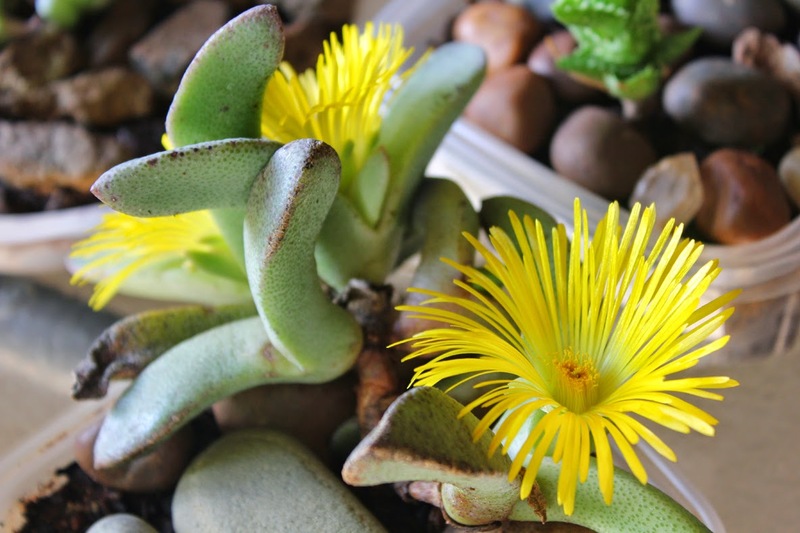 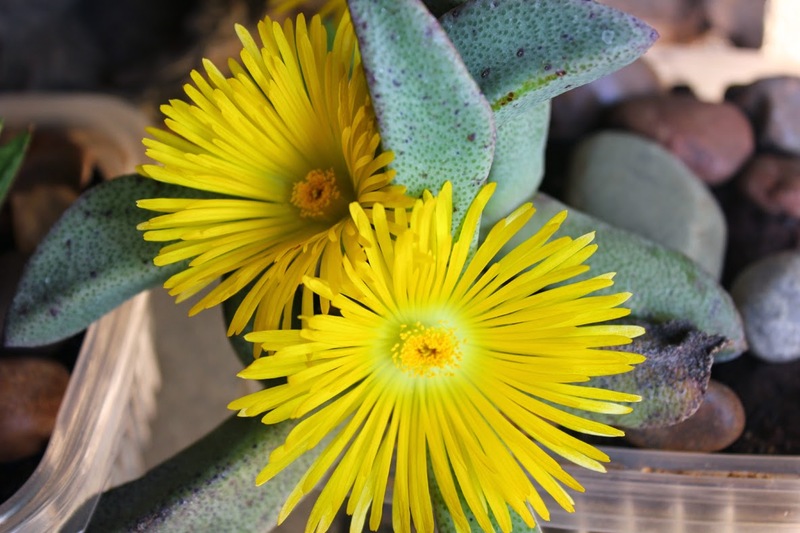 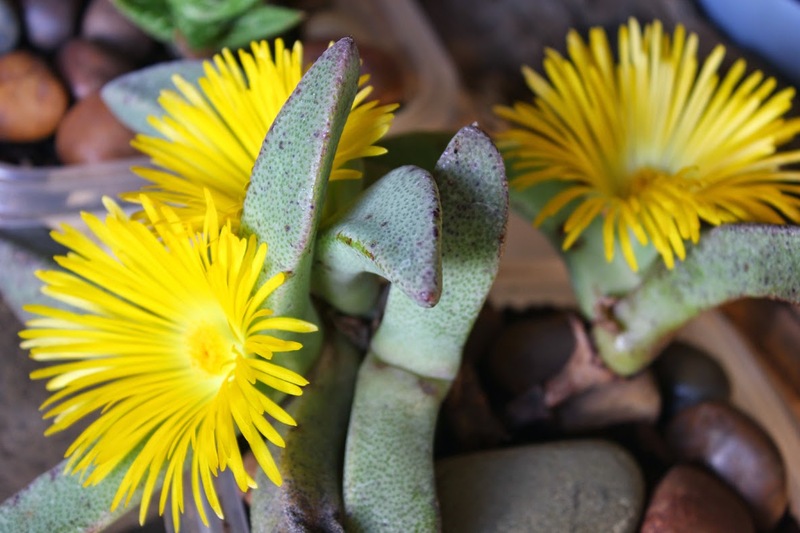 I received my 25 beautiful little plants by courier in the first week of February and since then I've been keeping a close eye on each and every one, and last week I was rewarded with my first flowers from the Pleiospilos compactus! 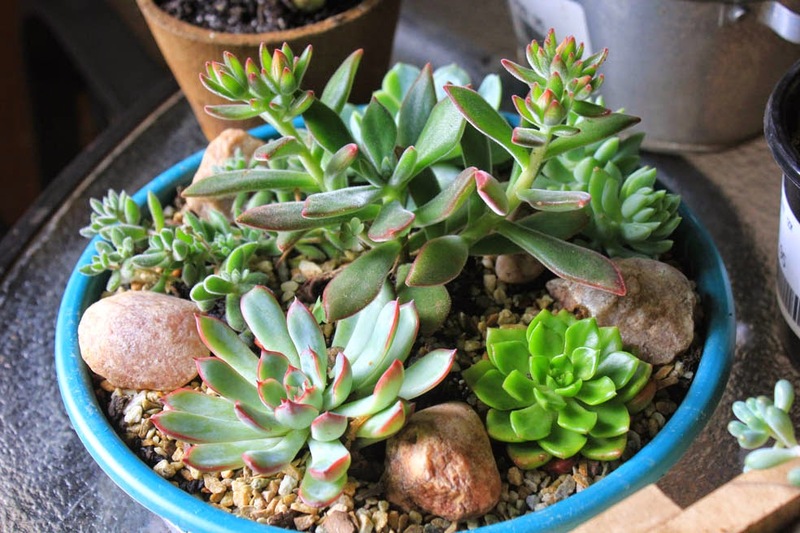 Now the question is just whether I'm going to bring them inside for winterizing... At the moment most of them are under an overhanging tree on a stand on my patio where they get early morning sun and some late afternoon sun, so they might be protected from the very bad frost we sometimes get here. 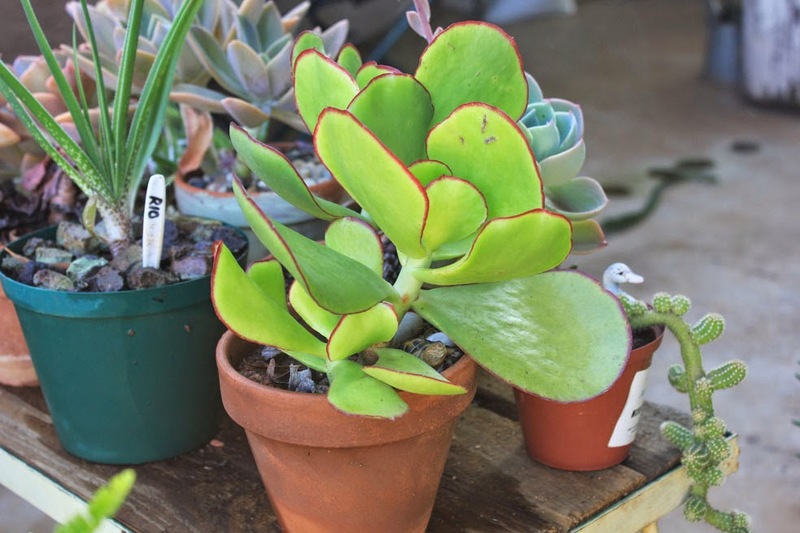 But I will be checking on them EVERY day to watch for any cold damage.